You know, where they do the “on this episode” flashes? Doesn’t matter that I’ve seen it all before; I still Will. Not. Watch. I hide my eyes and everything. Also, it annoys me a lot that they included that on the DVD versions. I don’t think I realised what the title of this episode was when I first watched it. It’s incredibly resonant, of course, and for me at the moment even more so – I’m teaching the French Rev this year, again, and I’ve been furiously reading books about it. Bastille Day, for those vague on the details, is popularly seen as the ‘official’ beginning of the French Revolution: a crowd of people in Paris stormed the Bastille, a prison regarded as a symbol of the king’s oppression in the middle of Paris. The irony, of course, is that when they got in there were only about 7 inmates – and none of them were in for political reasons. (If you follow Schama, it’s also indicative of the violence that escalated basically until Napoleon took control). Here, of course, although there are 1500 prisoners who have presumably committed a variety of crimes, the focus is entirely on one: Tom Zarek. 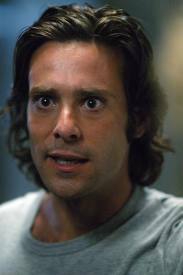 (And when I discovered that he was Apollo in the original series, my mind nearly exploded.) Freedom fighter or terrorist, Zarek manages to capture (our) Apollo and friends when they come to ask the prisoners to do hard labour to get water for the fleet. And what he demands is elections across the fleet. The very fact that it was called Bastille Day is indicative, I think, of where the sympathies of the show’s creators lie; most people regard the day as a good thing in the progression towards democracy. And so, when this possibly evil man is demanding exactly the sorts of things that reasonable people have been demanding in Sudan, Zimbabwe and Burma the last few years… well. The writers are not making this an easy show to watch. Also, I love the ending, where Apollo has to face up to his father and the President and announce he has committed them to elections. It’s exactly like a kid being hauled up before his parents. It’s all about Starbuck. 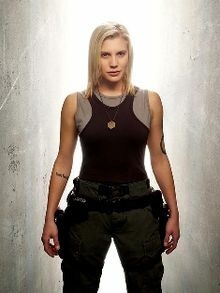 She may get a bit annoying in places, over four seasons, but this show is just all about Starbuck here. To start the episode with a flash of Starbuck falling through atmosphere is very clever – the fact that they don’t make it clear whether this is a flashback, or a dream, or what adds significantly to the tension. The further flashbacks to her with Zac, and then her first meeting with the Commanders – when we the viewers already know what she did and how guilty she feels – are superb and very effective. I really appreciate how conflicted they make Starbuck; it’s not overdone, and it doesn’t come out in every single action, but it’s clearly always there. As it would be. It also tells you something about the show that in the fourth episode they have one of the main characters possibly die. No punches pulled. 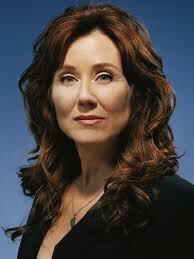 This episode also has Roslin chatting to the fleet doctor about her breast cancer. I’m still not entirely sure what I make of that particular plot point. Of course it leads to the whole ‘dying leader’ thing, and it has a slight side discussion of ‘alternative’ vs mainstream medicine, plus the whole ‘how to deal with terminal illness’ thing. 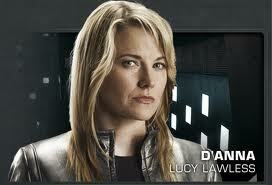 It also makes her more vulnerable and human, which I like; it matches, I guess, with Adama’s grief over Zac. So this one finishes as a cliffhanger; Starbuck has fallen on to the planet, oh nooo!! We had only planned to watch two episodes… but we couldn’t just LEAVE her there. Ah, the rescue of Starbuck. Which is awesome because she rescues herself; that’s my girl. I love, love, love that the Cylon raider is a genuine cyborg, and I am willing to overlook all of the issues of how Starbuck learns to control the thing for the very fact that she does, and it’s so very awesome. 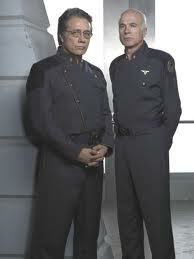 The other fascinating aspect is how Starbuck’s absence affects both Adama men – they can’t handle it. Roslin suggests it’s because she’s their last connection to Zac; I think it’s also guilt, especially from Adama Sr, that he drove her to the point of having to be (more) rash. 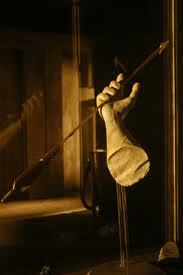 And for Apollo… yes well, we know where that particular relationship goes (if you’ve seen it that is. If you haven’t, why are you reading this?). Roslin also highlights the military vs civilian issue that is going to continue plaguing the fleet: the military (well, Adama) making decisions that affect everyone, but aren’t necessarily the right ones to make for everyone. Finally, it totally freaks me out that they smoke onboard a spaceship. WTH? ?